1. JESUS IS OUR LORD NOT OUR RELIGION. We are committed followers of Jesus. 2. WE'RE NOT PERFECT, BUT HE'S NOT DONE.We are a work in progress. 3. THE BIBLE IS OUR PLUMBLINE. We believe the Bible is God’s living Word. 4. WE LIVE FOR THE LINE, NOT THE DOT. We believe eternity is a long time. 5. 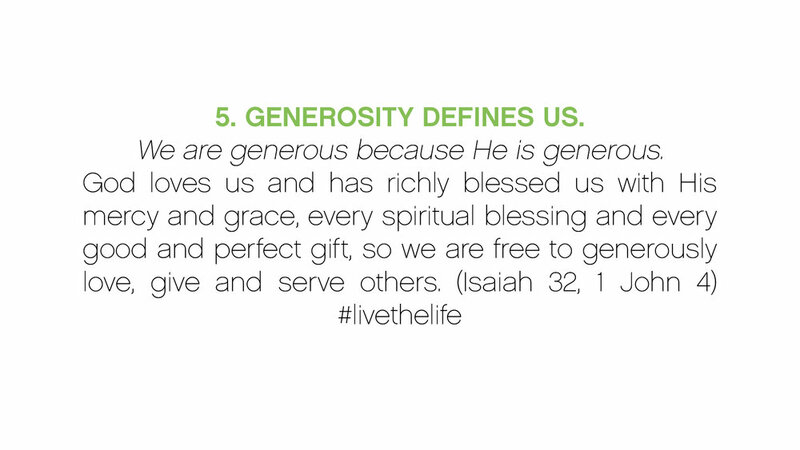 GENEROSITY DEFINES US. We are generous because He is generous. 6. 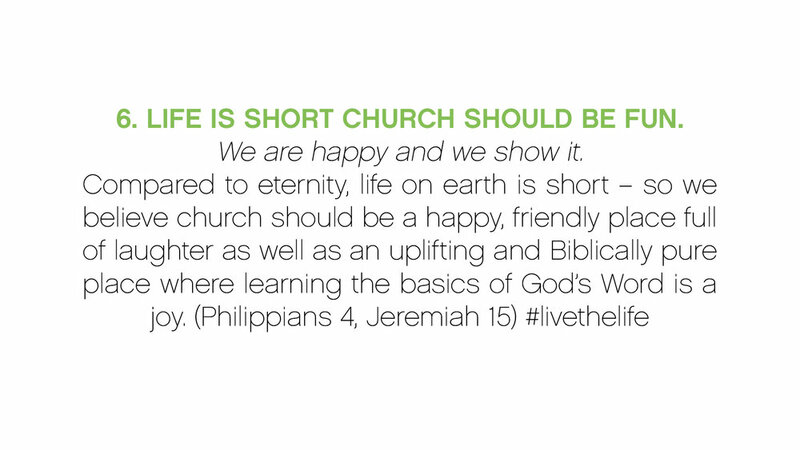 LIFE IS SHORT CHURCH SHOULD BE FUN. We are happy and we show it. 7. IT’S ABOUT NAMES, NOT NUMBERS. We believe people matter. 8. EVERYBODY DOES THE DISHES. We’re a family and everyone helps out. 9.THE QUEEN OF SHEBA INSPIRES US. We are committed to excellence not perfection. 10. WE ALL SCREAM GREEN. 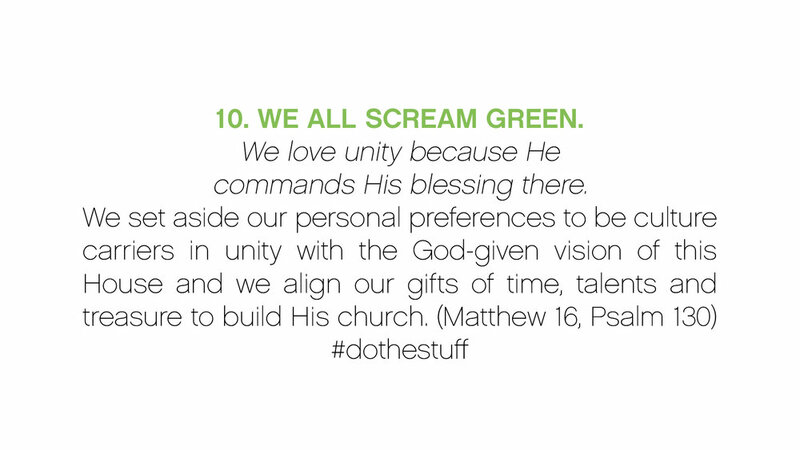 We love unity because He commands His blessing there. 11. EVERYONE HAS SUPER POWERS. We see everyone with leadership potential. 12. OH LITTLE TOWN OF KALAMAZOO. We can reach a big world from our home town.